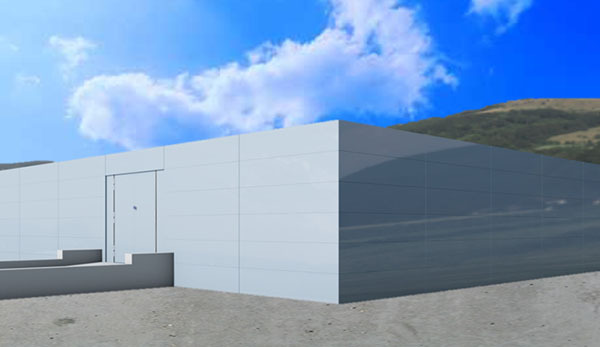 Dramatically reduce upfront investment when fitting out existing buildings as new, resilient, high performance Data Centers. *Exceptional financial advantages for investors. *Greatly improved facility performance across all critical operational metrics. 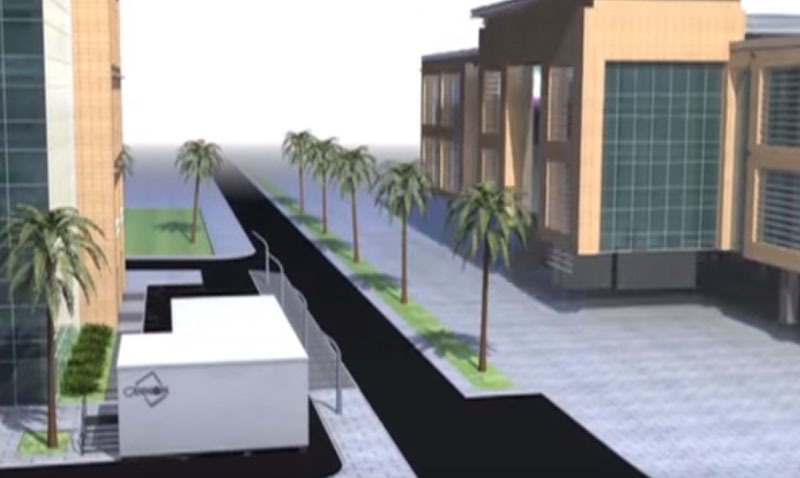 Financial Advantages – Cannon Data Campus provides an investor friendly business. Cannon Data Campus is available in a range of user options. SINGLE USER, SINGLE ENTERPRISE FACILITY – In this configuration, all individual Data Halls and aisles are accessible by authorised personnel. regimes to be operated with positive security and full remote monitoring and alarms via “Cannon Secure”, a module within Cannon DCIM. Security levels can be scaled up to extreme protection, to protect against extreme threats. MIXED USE – The Modular nature of this design enables a mix of single user and segregated multi user , in any floor plan . increments of expansion, from small initial deployments growing to large Multi-megawatt Data Centre facilities. MODULAR BUILD utilises large factory built modules which can be extensively pre-configured with Data Centre equipment prior to shipment. GRANULAR BUILD utilises factory produced hand portable precision components that are rapidly assembled, on site using hand portable tools. data centeres for worldwide applications. These range from transportable small scale facilities to scalable, modular facilities housing hundreds of racks. and an unwavering commitment to providing excellent support for its customers. With the ‘Soft Ride’ option, all of the attributes of the standard Globe Trotter facility are supplemented by a high performance shock absorbing system mounted within each IT equipment rack. One’ cabinet provides a life support package for your IT equipment. Cooling may be by normal air cooling if available (with standard mesh doors front and rear). heat from sealed cabinets – also ensuring the security of the IT equipment within. The solution is easy to transport and rapid to deploy. *’IT’ Ready Turnkey provides an operational facility which is powered, cooled, tested and commissioned ready for the client to install and commission their IT infrastructure within. *‘Full IT’ Turnkey is provided when the client requires a fully operational Data Centre complete with fully functional IT infrastructure , ready to fulfil the end mission. *‘Entry level’: A cabinet with sound deadening and air control glands, Configured with a suitable cooling system ready for customer IT fit out. *‘IT ready’: As above but complete with a UPS, PDU Strips and FM200 or Novec Fire Protection system inbuilt. *Just fit your own servers & network switch. *‘Turnkey’: As above plus your required servers and switches may be installed and preconfigured by our Cisco certified Engineers. 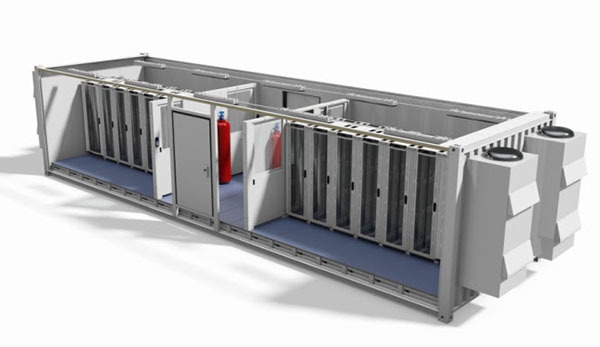 *‘Retrofit’: Existing cabinets may be converted to actively cooled micro data centre units with the addition of internal, side, roof or rear door mounted cooling units. As a data centre design and build specialist, Cannon has proven experience and a strong track record in delivering new builds and upgrade projects within live environments. Our many years’ experience of managing technical projects, plus our specialist M&E expertise, are key factors that enable us to make the fit-out of technical environments smooth and stress-free. Cannon can undertake the entire refurbishment process. Our specialist technical expertise has been put to good use on many occasions. We can review existing data centre facilities, then upgrade inefficient or end-of-life equipment with a more energy-efficient or superior-performing solutions. density solutions in the world today. 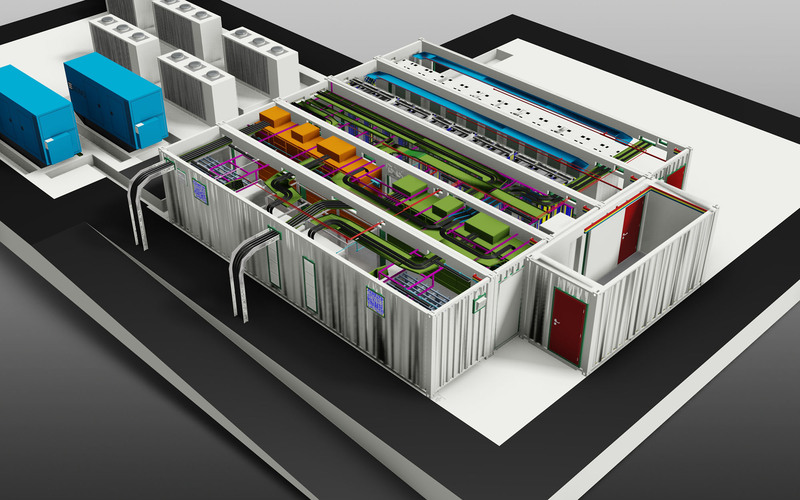 With an established and proven approach to data centre design and build, Cannon helps customers to design their own facilities by taking advantage of our continued developed experience and knowledge. The principles of our design approach are based on simple but highly efficient technologies that deliver real value through the lifecycle of the facility. Our approach is developed to align with the overall strategy of each customer, ensuring we optimise every design and future fit-out at every stage. the overall system performs to the highest level in testing and in operation. If you are looking to repurpose, refit, design or complete a new build data centre, our experts will be happy to discuss your requirements..
Cannon offers solutions for every environment. Our team of experienced engineers have over 40 years of product knowledge and are constantly striving to improve what is already among the most efficient and functional IT Infrastructure technologies available. Our range of solutions are in use 24/7 by many of the world’s leading data providers including Finance, Education, Government and the Military. True scalable solutions enable ‘Build as you Grow’ expansion of space and power from sub 3kw to more than 20kw per cabinet. Our extensive range of racks and enclosures is complemented by aisle and pod layouts. 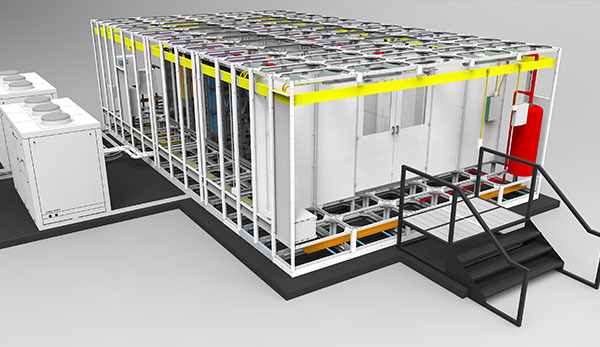 A complete range of innovative, scalable, “ready to go” systems suitable for any modular or traditional data center. True scalable solutions enable ‘Build as you Grow’ expansion of space and power from sub 3kw to more than 20kw per cabinet. Our extensive range of racks and enclosures is complemented by aisle and pod layouts. Our designs incorporate space saving sliding doors and an 'Active Aisle Roof' which transforms climate control within hot and cold aisles. If you are interested to start a new data center project the best course of action would be to talk about the specifics with one of our engineers.